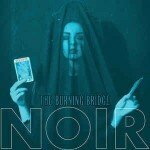 Background/Info: Lord Sauron (Headdreamer, Oxyd) and Ryby (Oxyd and owner of Aliens Production) better known under the Disharmony-moniker are have been busy composing and releasing music for years now. The last albums of the band were released on Tympanik Audio. Three years after the last studio album “Room 78” and since Tympanik Audio stopped all activities early this year the band moved back to Ryby’s own label to unleash their announced new opus “Fragments Of Time”. This EP features two songs that will be released on this album plus a remix of another track. Content: Disharmony remains faithful to their sonic intelligence and sound manipulation. They’re constantly moving in between industrial sounds and electro-ambient atmospheres while adding an IDM touch on top of the work. 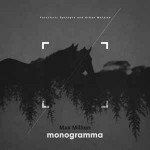 The work is filled with a kind of astral dimension constructed with subtle bleeps. You’ll also notice deep bass lines and fascinating slow rhythms. Some passages are leading the listener into an imaginary world of reverie. The last song is a remix by Oxyd –the other formation of this duo, which creates a somewhat schizophrenic feeling. This song is maybe a bit more into dreamy sound creation than the Disharmony tracks, which are more into industrial music and dark atmospheres. + + + : Disharmony remains a band characterized by a great sound intelligence. They’re fascinated by the creation and transformation of sounds resulting in a kind of sonic puzzle driven by a slow cadence. It sounds somewhat experimental, but really accessible. This EP is a real fine taster to welcome the new full length. 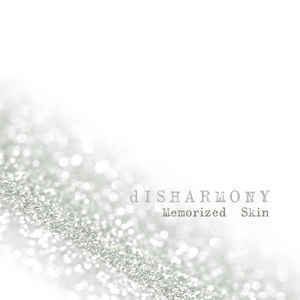 – – – : “Memorized Skin” is clearly meant as a pure promo release. It’s a pity there are no exclusive songs or extra remixes featured here. Conclusion: Disharmony clearly hasn’t lost their creative spirit to compose sophisticated and passionate music. This is modern electronic made by visionary artists. Best songs: “Memorized Skin”, “Spectres – Oxyd Rmx”.